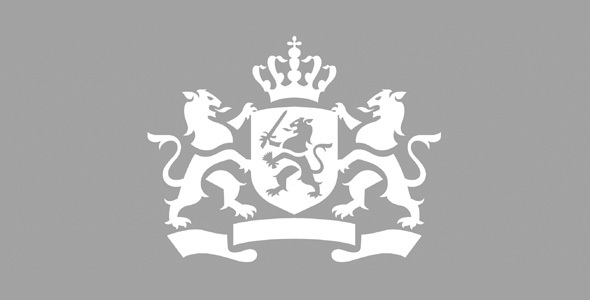 Studio Dumbar designs logo and house style for Dutch Government. Studio Dumbar designs logo and house style for Dutch Government. All departments of the Dutch National Government, including all 13 Ministries, will be switching to one logo and house style over the next few years. This government-wide style is to be developed by Studio Dumbar (Rotterdam). The definitive design should be complete by the middle of 2008. For the first time in Dutch history, the Dutch government has decided to present a unified graphic identity nationwide, which will apply to all organisations that fall directly under Ministerial responsibility. The goal is to apply the new house style completely within the next three years. The government is actively organising its services according to the ‚one stop shop‘. The goal is to improve communication and interaction between the citizens and government, and adoption of one house style for the entire government is part of this concept. The unified house style will contribute to clarity and accessibility, where the National Government now presents a very fragmented image. Eventually, dozens of organisations and departments that currently have their own logos and styles will adopt the designs developed by Studio Dumbar. A European tender for the development of a logo and house style for the National Government was issued twice, in 2006 and 2007. After a promising start in 2006, the project was put on hold due to change of government. The new commission in 2007 led to a competition between five design bureaus, with Studio Dumbar winning the final selection.